Place all the ingredients into a blender and blend until everything is well combined. I like to leave it a little chunky in texture. Yields : Approximately 1.5 cups of pesto. Freeze: Is suitable to freeze. 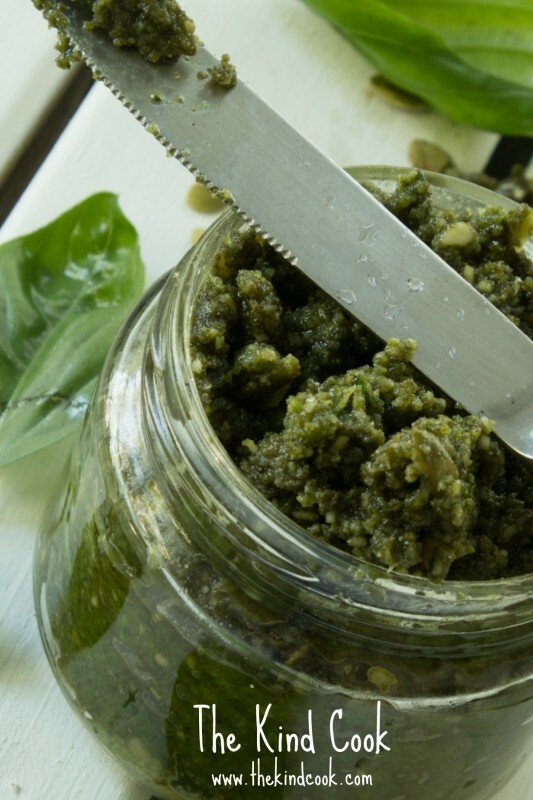 Note: Don’t over blend the ingredients as the pesto can take on a gluggy texture. If you cook the garlic in a little water for a few minutes, it takes away that astringent taste raw garlic has.